EIV confirms all its future Blu-ray releases will be full 1080p format | What Hi-Fi? Distributed in the UK by EIV (Entertainment In Video), one of our eagle-eyed Forum regulars spotted that the film plays in 1080i/50Hz resolution, not 1080p/24fps – despite the packaging being labelled Full HD. EIV's response was that all its Blu-ray titles were presented in 1920 x 1080 'Full HD' resolution, but that the 'i' (interlaced) or 'p' (progressive) "just refers to the frame rate rather than the resolution itself". 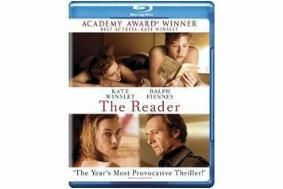 It also went on to confirm that four of its Blu-ray titles – The Reader, Death Sentence, Bangkok Dangerous and The Women – are all presented in 1080i/50 resolution. Now many of you obviously felt short-changed by this. Trouble is, there's no legally binding standard definition for Full HD (unlike HD-Ready), so EIV wasn't lying when it said the discs were Full HD, although its response did seem disingenuous. However, after lengthy attempts from us to get a better response, EIV has finally confirmed today that all the company's future Blu-ray releases will be in full 1080p. So thanks to everyone for bringing this to our attention. A good result. To find out more about this issue, read our Forum thread.